Tutors of Oxford NYC, founded in 1997 by Dr. Stuart Donnelly, specializes in providing the finest quality individual private tutoring and standardized test preparation available here in Manhattan or online via Skype. Dr. Donnelly's teaching experience and academic credentials are second to none. 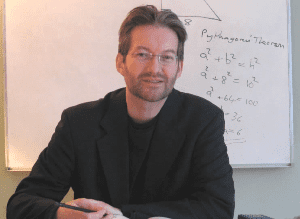 With his Ph.D. from Oxford University, several popular test prep books to his name, and over 18 years of tutoring experience, Dr. Donnelly is considered by many leading educators to be one of the most experienced and qualified private tutors in the country. What makes our method so successful? Click on the relevant link below to find out why Dr. Donnelly's private lessons are so effective. Over the years, Dr. Donnelly has helped literally hundreds of students to improve their standardized test scores significantly and to achieve their academic goals. We are confident that he can do the same for you. "Hello Dr. Donnelly, I just wanted to let you know that Lev, your student, was admitted to Harvard this fall. Your contribution was invaluable. Many thanks." "Professor! I just wanted to let you know that I got accepted into some amazing programs for grad school! Particularly Georgetown's school of foreign service, which is among the top schools in the world for that area of study. I just wanted to say thank you and that you really are amazing!" "I was admitted to NYU's Stern School of Business today! Thank you for all the help!" "I want to start with saying that you are an amazing tutor! Thank you so much, I will recommend you to all my friends, and hopefully in a few years be back in your office for help on the MCAT's. Thank you again." "Doctor, Eijiro was just offered a place at Cornell! Thank you so much for all of your help in tutoring her and helping her prepare for her SAT exam. I don't think she would have made it without you." Advantage of Private Lessons Individual private lessons are simply the most effective method for students to improve their subject knowledge and to increase their test scores significantly. (Click to learn more). Choosing a Private Tutor How can you ensure that you choose the right private tutor for you? Check out this easy-to-read guide that will help you to make the correct choice. (Click to learn more). Rates Click here to learn more about Dr. Donnelly's rates for private lessons, package deals, available discounts and cancellation policy. (Click to learn more). Location & Lesson Details Click here to learn more about lesson details including location, duration, timing, and teaching materials. (Click to learn more). Standardized Tests Do you need to improve your standardized test scores? With our professional guidance you will learn how to master each topic and how to select the correct strategy for each section of the exam - greatly improving your chances of success. (Click to learn more).